On February 1, 2017, we finally took our last intercontinental flight, as we flew on LATAM 800 from Auckland to Santiago. 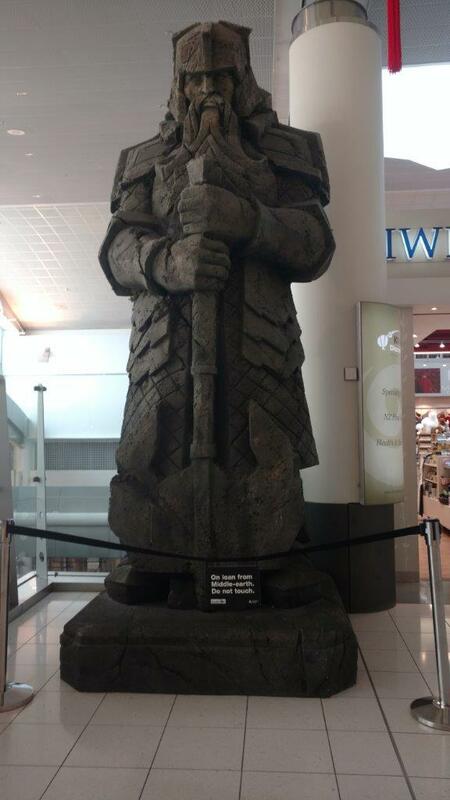 Perhaps the most fun part of this flight was this statue watching guard over the Auckland airport. For this flight, LATAM uses the wonderful Boeing 787 Dreamliner. 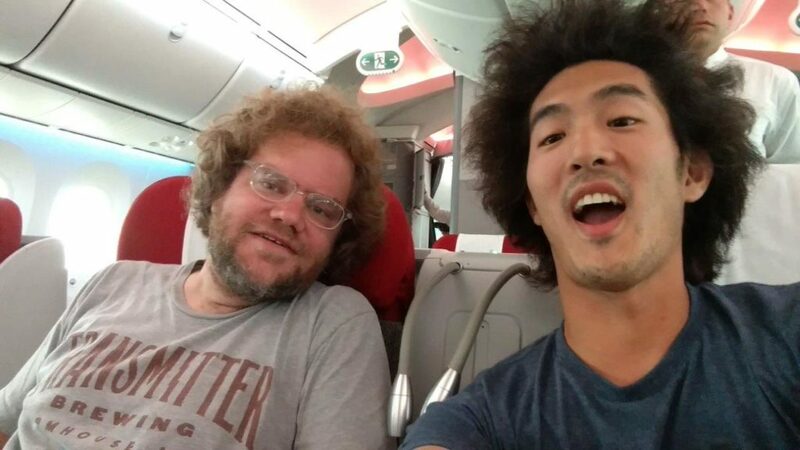 It’s a really spacious and quiet plane, and the coolest part may be the electronic window shades that have no moving parts but rather just use a button for dimming and lightening. 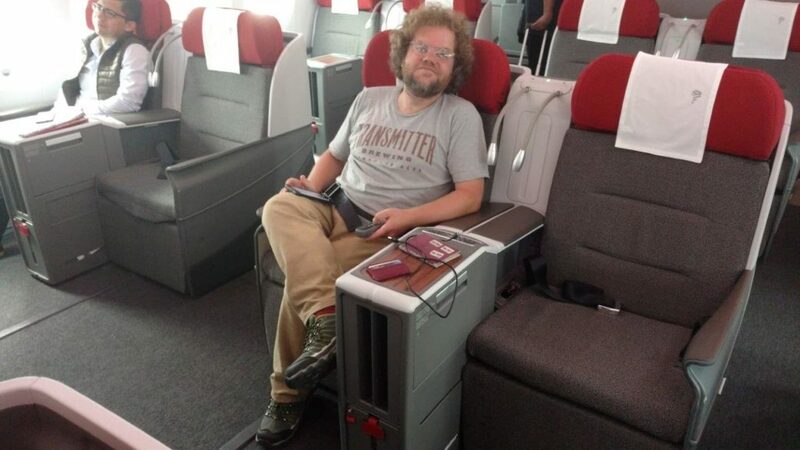 Plenty of legroom in LATAM’s 787 business class cabin! Eleven hours flew by effortlessly! Seats are lie-flat seats for sleeping, although window seats don’t have direct aisle access. After reaching Santiago, we spent just a few days there. We did our best to relax and recuperate from our nonstop month in New Zealand, staying in as much as we could and working on our blog and expense tracking. 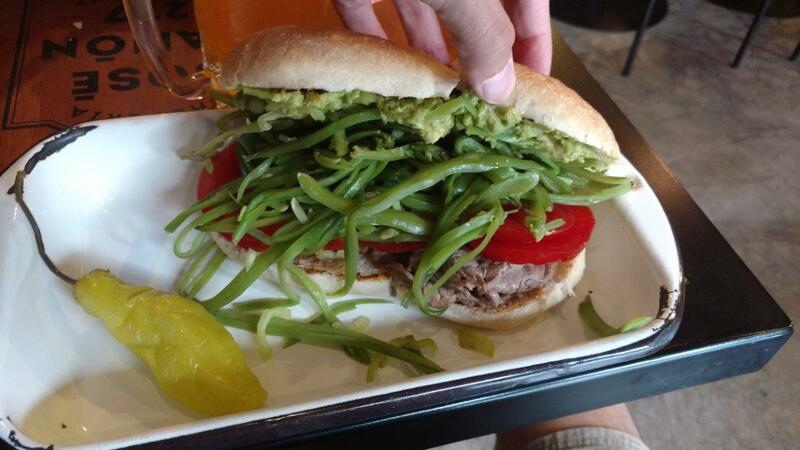 I do have to give a shoutout to the chacarero, a Santiago specialty sandwich that includes a guacamole spread on steak or chicken, with tomatoes and green beans right inside. I first discovered it in Boston years ago and now eat them whenever I see them on the menu! I first learned about the chacarero in Boston; it’s a Santiago specialty with green beans on it, and it’s delicious! Santiago also gave us a chance to catch up with our friend from New York, Ander. Ander graciously hosted us at his family’s farm a few hours south of Santiago, and we had a fantastic evening of great wine, great food, incredible company, and cuddling with some new puppies. Muchas gracias, Ander, if you’re reading!! Hi there, little buddy! 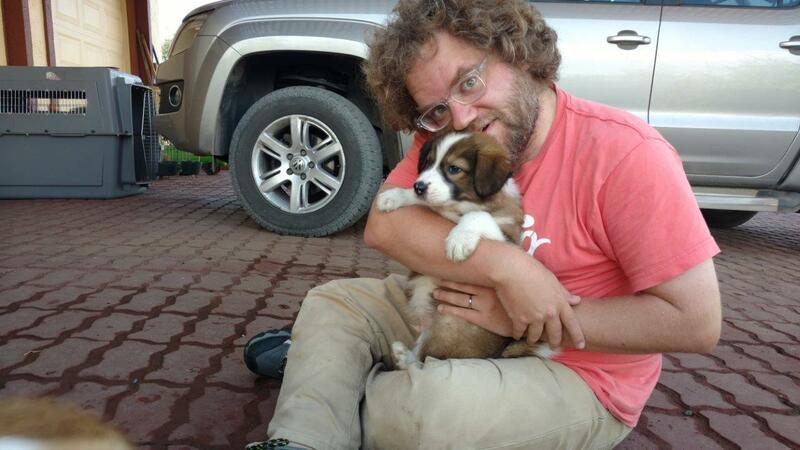 One of Ander’s recently rescued fluff buddies.